Below you can view all the condos for sale in the Shadow Wood subdivision located in Denver Colorado. Listings in Shadow Wood are updated daily from data we receive from the Denver multiple listing service. To learn more about any of these condos or to receive custom notifications when a new property is listed for sale in Shadow Wood, give us a call at 720-729-2332. Includes numerous community amenities - indoor and outdoor pools, sauna, clubhouse, tennis court, fitness facility, and dedicated parking and storage building. MLS#4225159. Redefy. This Home Is Move-In Ready! Schedule Your Showing Today! MLS#8317792. RE/MAX Masters Millennium. 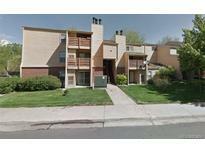 It is close to DTC, Malls, I-25, restaurants, retail stores, and Parks. MLS#7439539. Brokers Guild Classic. * You can't afford to miss this. Come see it! MLS#3797776. MB CC and Company LLC. These statistics are updated daily from the RE colorado. For further analysis or to obtain statistics not shown below please call Highgarden Real Estate at 720-729-2332 and speak with one of our real estate consultants.